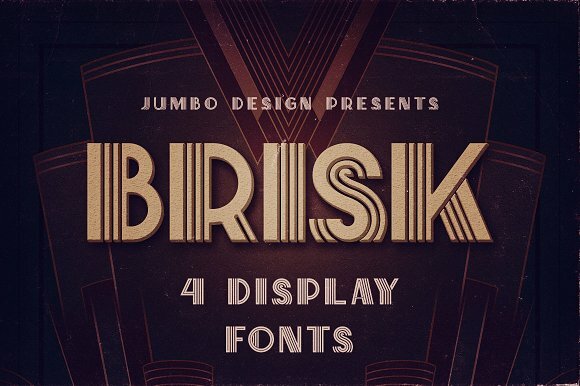 Brisk is an art deco display font designed by JumboDesign and published on 2017-07-20. Enjoy a great looking vintage style specimen! A font description published on Friday, July 21st, 2017 in Display, Fonts by Andrei that has 2,880 views.